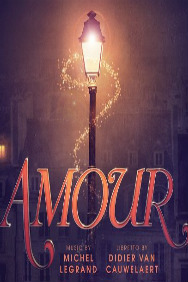 Amour tickets at Charing Cross Theatre, London. 2019. Find the best Amour musical tickets at Charing Cross Theatre, Inner London. Paris, 1950 - a shy, unassuming civil servant, Dusoleil, lives alone and works diligently in a dreary office. To pass the time, he writes letters to his mother and daydreams about the beautiful Isabelle, who is kept locked away by her controlling husband. When Dusoleil miraculously gains the ability to walk through walls, he not only begins to lead a double life, stealing from the rich and giving to the poor to right the wrongs of his war-impoverished Parisian neighbours, but also gains the self-confidence to woo Isabelle and, just for a while, live the life he has always longed for. Adapted from the 1943 short story Le Passe-Muraille by Marcel Ayme, Amour opened on Broadway in 2002 and was nominated for five Tony Awards, including Best Musical. Performers Gary Tushaw (Dusoleil), Anna O'Byrne (Isabelle), Alasdair Harvey (Prosecutor), Elissa Churchill, Claire Machin, Keith Ramsay, Steven Serlin, Daniel Stockton, Laura Barnard (understudy), Jack Reitman (understudy). Music Michel Legrand. Lyrics Jeremy Sams (English lyrics from the original French by Didier Van Cauwelaert). Director Hannah Chissick. Choreographer Matt Cole. Design Adrian Gee. Lighting Rob Halliday. Sound Andrew Johnson. Musical Director Jordan Li-Smith. Producer Danielle Tarento. Director Danielle Tarento (casting director). Thursday, 2nd May 2019 to Saturday, 20th July 2019. Open 8th May 19. Terms: SAVE UP TO £15 ON TICKETS £40 now £25 £28 now £15 Valid Monday - Thursday performances. Terms: Valid from 9-18 May 2019. Book by 22 Apr.. Terms: Valid from 2-7 May 2019. 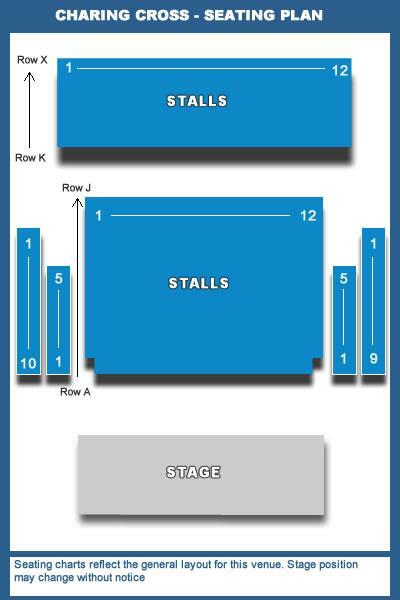 Book by 22 Apr..
Amour tickets: The tabs above allow you to select between links to suppliers and date searching. Click on a supplier's logo to see their details and on the 'buy now' button to see and check the tickets on offer.